Caddo Lake Wildlife Refuge Star Party has been CANCELLED! DUE TO THE CURRENT WEATHER PATTERNS, THE STAR PARTY AT THE CADDO LAKE WILDLIFE REFUGE FOR THIS SATURDAY, SEPTEMBER 15, HAS BEEN CANCELLED!!! The Mineola Nature Preserve in conjunction with The Astronomical Society of East Texas will present a SUMMER STAR GAZING at the Mineola Nature Preserve on Friday, July 13, 2018. This is a free program and everyone is invited. The activity begins about 9:45 PM, so you can see where we will be at, try to arrive by 9:00 PM or earlier to get acquainted with the location. The program will end about 11 PM. The location will be at the Amphitheater next to the Pavilion. The program is a group exercise in identifying objects in the night sky that can be seen with binoculars or the naked eye (Naked Eye Astronomy). Bring you binoculars and a lawn chair, if you wish. We could have a visit from the International Space Station and possible rare flashes from Iridium flares that evening. This is a weather permitting program. In the event of inclement weather or cloud cover, the program will be cancelled. A “CANCELLED” notice will be posted in the “Calendar” page of the Society’s website: www.asetexas.org/calendar or our Facebook page on the date, a sign “NO STAR GAZING” will be posted at the Preserve entrance. If this is the case, it will be rescheduled for Tuesday, July 17 at same time and place. Please keep an eye on the weather and dress appropriately for it. Weather is warmer now so wear clothing to ward off stray mosquitoes. If you bring mosquito repellent, do not bring aerosols; use wipes instead. For more information on this event and the Society, contact us at info@asetexas.com or text to 903-520-7338. On the web at www.asetexas.org or Facebook: Astronomical Society of East Texas and Mineola Nature Preserve. Daingerfield has rescheduled it Spring Star Party for Saturday, May 19th. The Event will take place at the Dinning Hall. The park is located 2 miles east of Daingerfield, Texas on SH 49. There may be a $2 entrance fee. Solar Sunspot viewing from 6-8pm. Lunar viewing from 8-9:30pm. Celestial viewing from 9:30-11pm. This is a weather permitting event. Cloudy skies could cause the event to be cancelled. 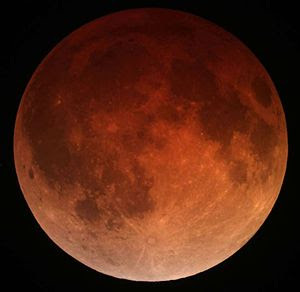 Cancellation notices will be displayed on www.asetexas.org and our Facebook page: Astrononical Society of East Texas. More info: info@asetexas.com or text to 903-520-7338.